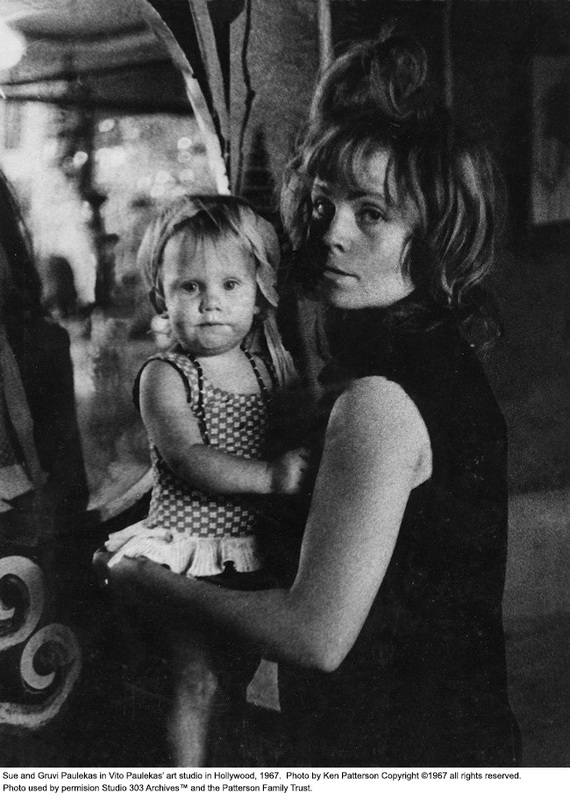 The Haunted Studios Collection™ began in the summer of 1963. 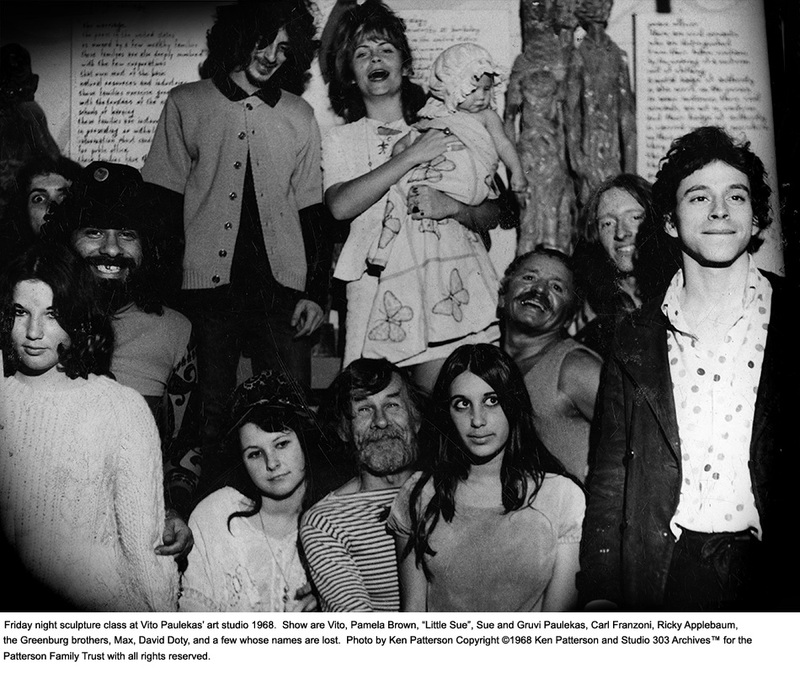 The collection's founder, Ken Patterson, that year met and was befriended by sculptor and 60s counter culture founding father Vito Paulekas. 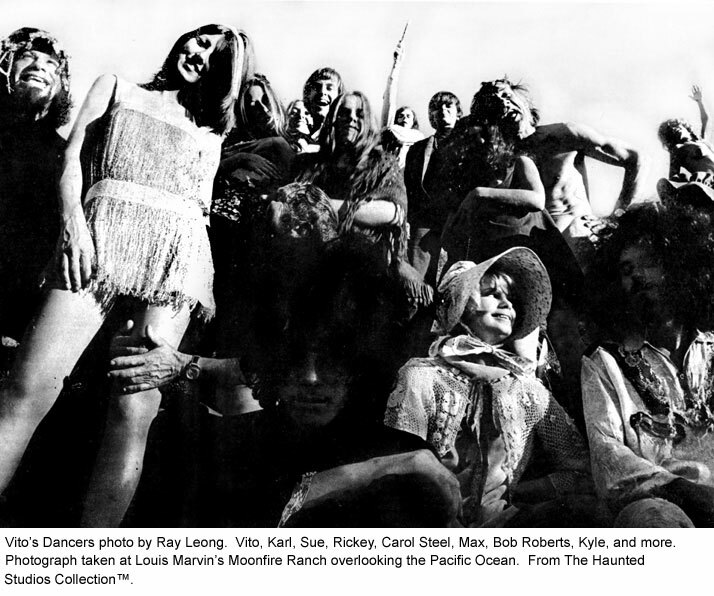 The Photo Below shows Ken along with other members of Vito's Dancers with the band The Fraternity of Man in 1967. It was through his friendship with Vito that Ken met Jerry Hopkins, then talent coordinator (aka "kook-booker) for The Steve Allen Show that taped in a dilapidated theater on Vine Street in Hollywood. 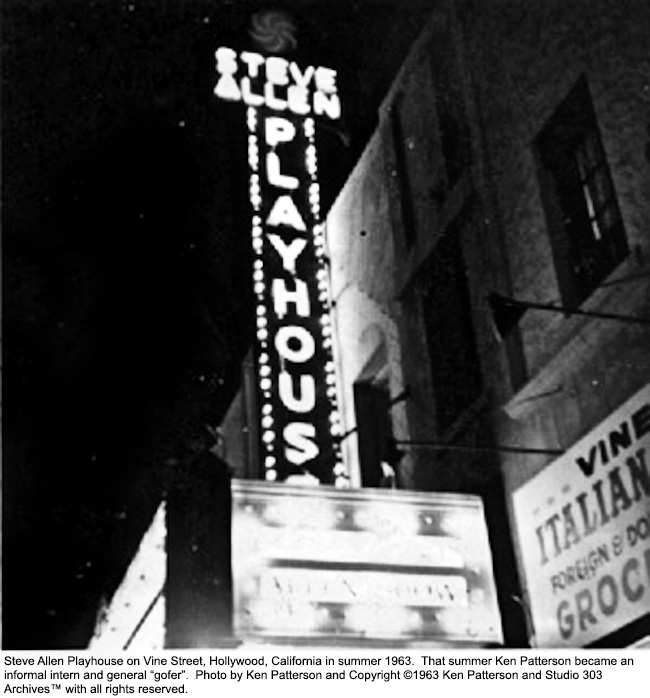 The one time silent film theater had been rechristened The Steve Allen Playhouse and converted to a "live on tape" audience rated television studio. 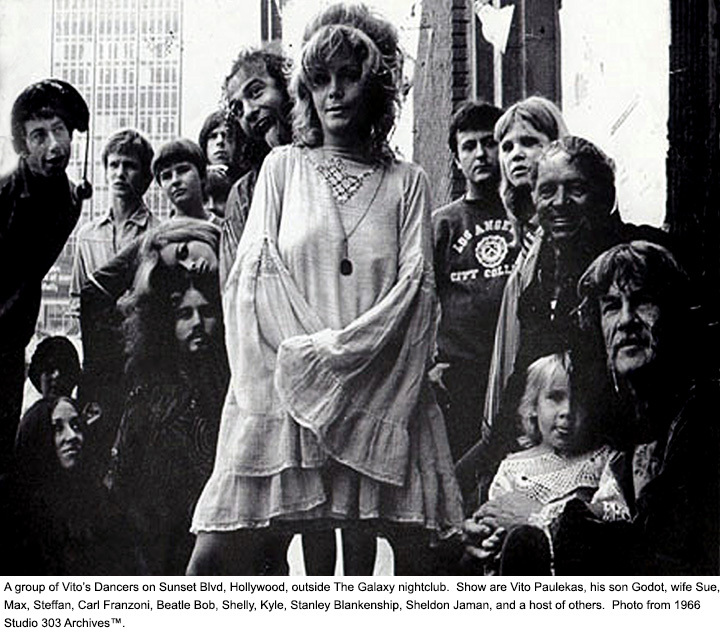 Years later Ken and his friend David B. Doty would again cross paths with Jerry as a supplier of hand made God's Eye necklaces to Hopkins' Headquarters psychedelic shop in Westwood. Ken made friends with many of the show's crew members, and spent his days "hanging out" at the studio. It was during one of these hang out sessions that Ken crossed paths with The Original Maltese Falcon. In that summer of 1963 The Steve Allen Show was getting a new set, and a general house cleaning. When the old set was coming down Patterson was offered a small truck load of "trash" including a plaster casting of The Original Maltese Falcon™, the very first artifact in what was to become The Haunted Studios Collection™. The Falcon was to have been used in a comedy sketch featuring Allen as Sam Spade, but for reasons unknown the bit was never performed and the Falcon sat backstage at The Steve Allen Playhouse on Vine Street in Hollywood, never returned to rental house Century Props. With help from Vito, Ken produced the first mold from The Falcon. Within days he had sold the first copies through a collector's book shop just off of Hollywood Blvd. Sensing a large, and largely untapped market in movie collectibles Ken set about repeating his initial success by mining other dumpsters. Vito and Ken spent many afternoons that summer visiting the trash bins of Universal, Paramount, Desilu, CBS, ABC, and other studios. This was long before the days of locked trash bins, and long before anyone realized the collector's value in the discarded props and life masks. 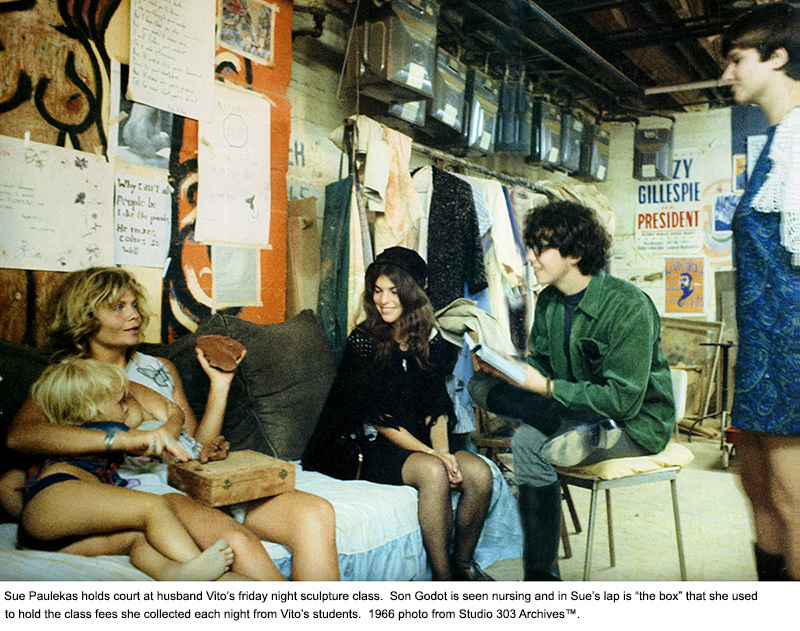 Ken also attended Vito's sculpture class where he perfected the techniques used today for the Studio 303 castings and finishes. Below are some pictures from Ken's collection of photos of his time with Vito, the first two from 1966, then 1967, and then from 1968. Near the end of 1968 Vito announced that he was leaving Los Angeles and that his Studio would become available that December. 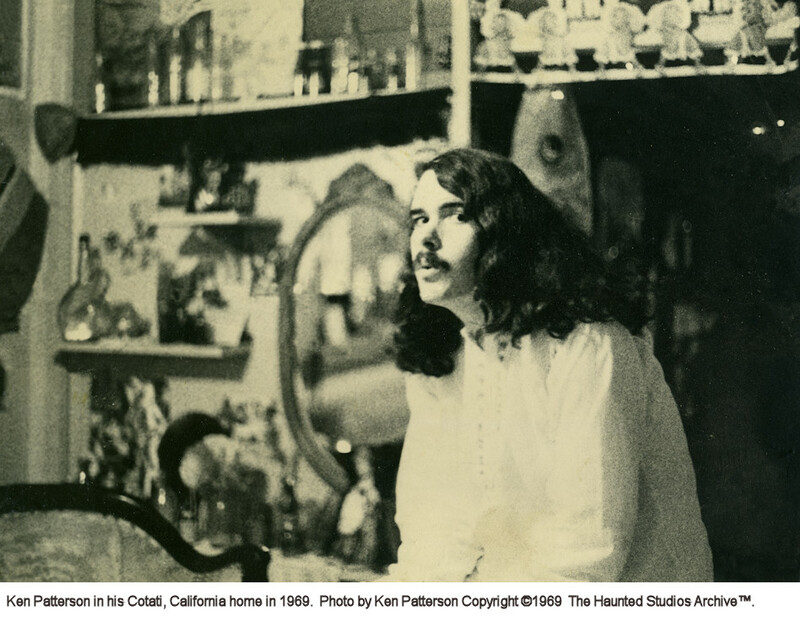 Ken Patterson formed a commune of artists that consisted of himself, David Doty, Ricky Applebaum, and Randy Black Fox. Ken signed the lease with building owner J.D. Kubernick and took over the property on December 1, 1968. The following year Vito and his family settled in Cotati, California and in June of that year Ken joined him and lived in his home for several months. 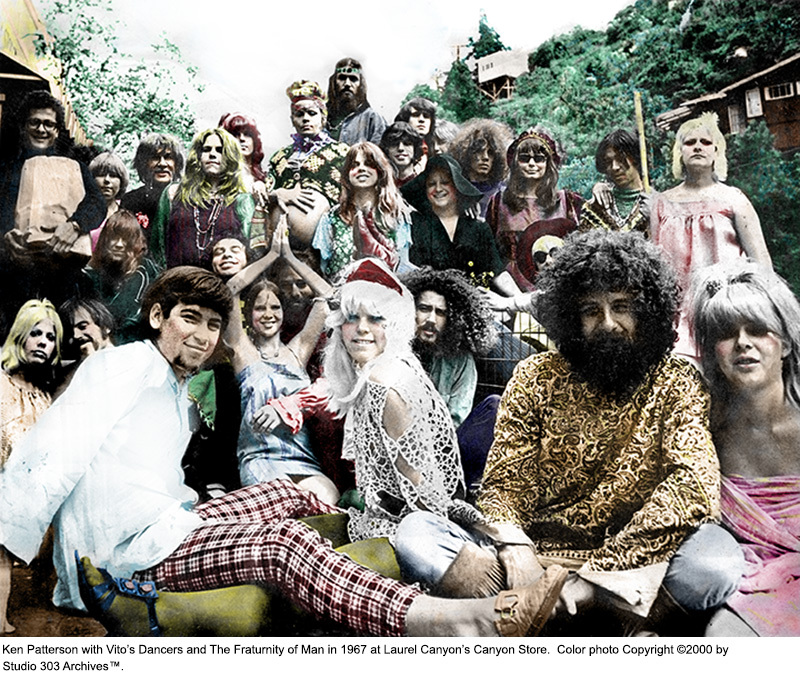 In December of 1969 Ken opened Changes Antiques in the Cotati Company #2. 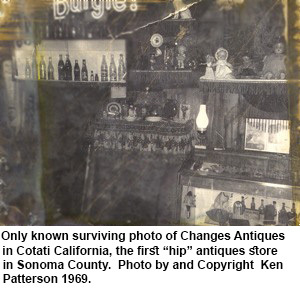 Changes was one of the first new, hip antique shops in Sonoma County. 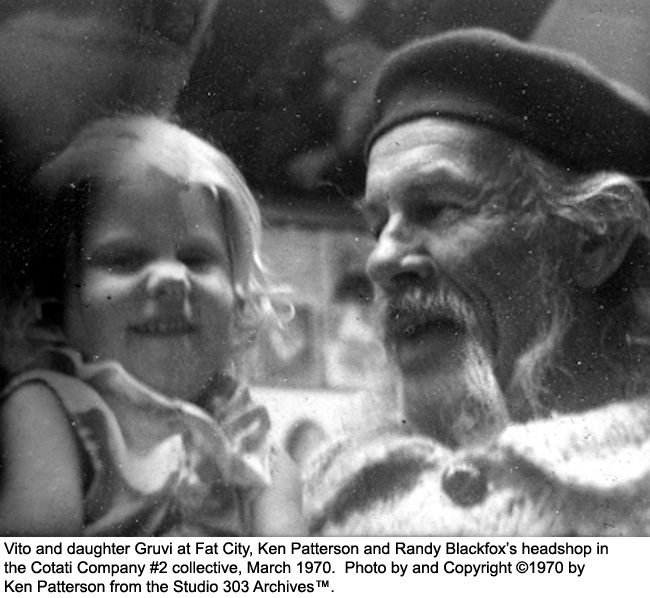 Later Ken partnered with Randy Black Fox, his partner Loretta, and a crazy Family Dog hippie called Bells to take over the Fat City head shop in Cotati and operated the establishment into the 1970s. From the 1970s through the 1990s Ken worked in the film and television industries as well as teaching classes in Television Production and Post Production at Los Angeles City College and Pasadena City College. Using connections made during this period Ken was able to add to the collection, and when he retired from working in the industry in 2001 there were, over the years, more than 3,000 Life and Death Masks (although never that many at once!) and hundreds of original film props in the Haunted Studios Collection™. 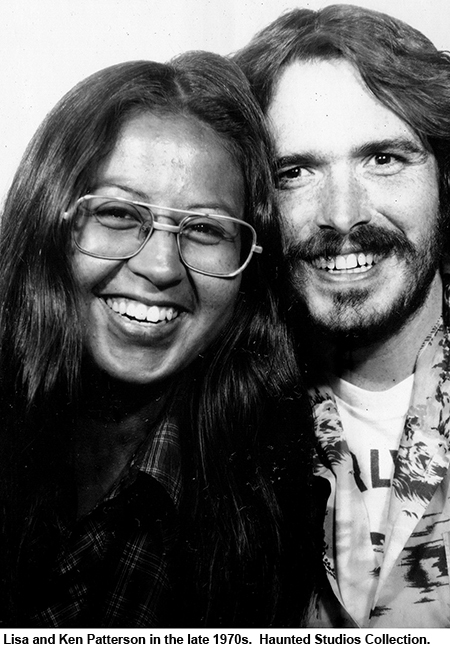 Ken and his wife Lisa live in semi retirement in northern California. Today Ken is a respected artist in his own right. 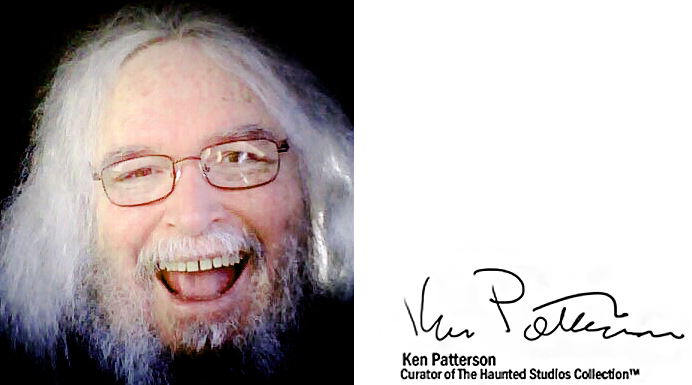 He remains the face of The Haunted Studios as Curator Emeritus. If you have comments about this page, or would like to suggest an addition, please use this form to let us know. From our founder . . .
"These have been some of the highlights of our company's history. I've been doing this for over 55 years so as you can guess there is a lot we haven't added here. More is coming, but if there is something you would like to ask about, or if you have a suggestion for changing this page you can contact us directly using the form above"